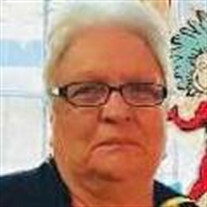 Maria C. Valladares, age 76, passed away on Sunday, October 21, 2018 at the Metropolitan Methodist Hospital, located in San Antonio, Texas. She was born on July 23, 1942 in Acambaro GTO, Mexico. The family of Maria C. Valladares created this Life Tributes page to make it easy to share your memories.